Kawnar's first album in 6 years, is now available on all digital platforms. The collection features a 5 part narrative journey written by Kawnar, and Narrated by Maeve O'Sullivan. The album is rounded out by 10 other Pop/Hip-Hop tracks featuring guest appearances by SoShy, and Johnny Polygon. Check out Kawnar's new venture. 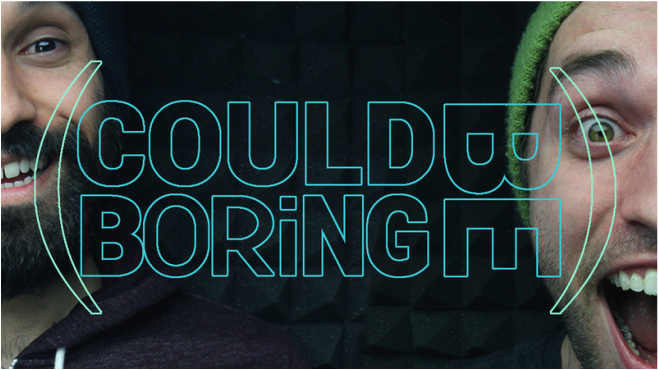 The "Could Be Boring" Podcast. click image for link!